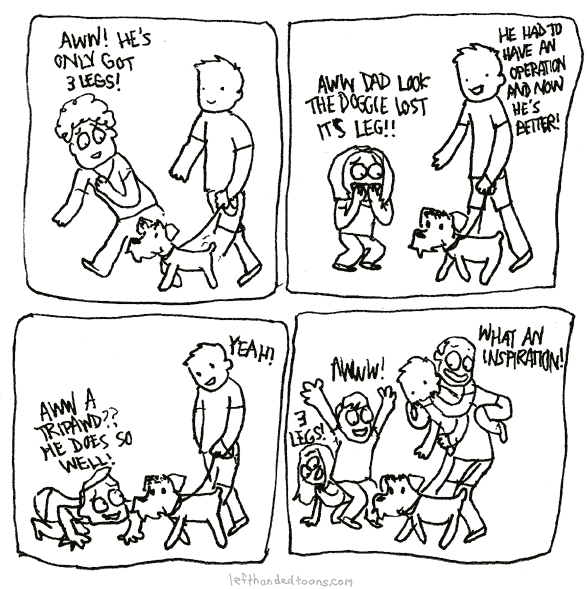 In honor of our dog, Rosco, who had his leg amputated four years ago when he had melanoma. Tripawds was really there for us and made the hard decision so much easier. Last weekend, we lost Rosco. He was 14.5 years old, and we’re so, so grateful that the amputation gave us another 4.5 years of happy times with him. Thank you for helping make that all possible with all the Tripawds resources. 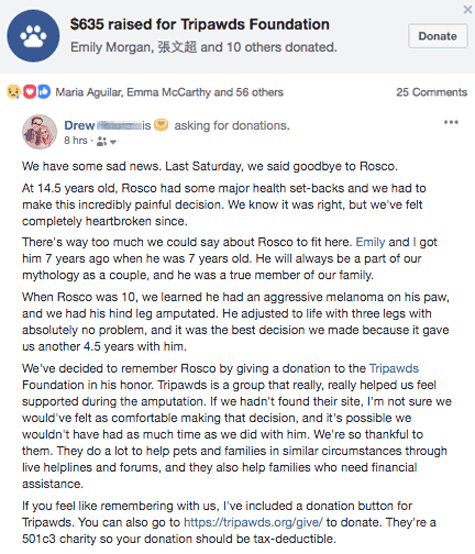 To honor Rosco’s memory, we posted on Facebook & Twitter to ask for some donations for Tripawds, and we were so happy with the support we received. 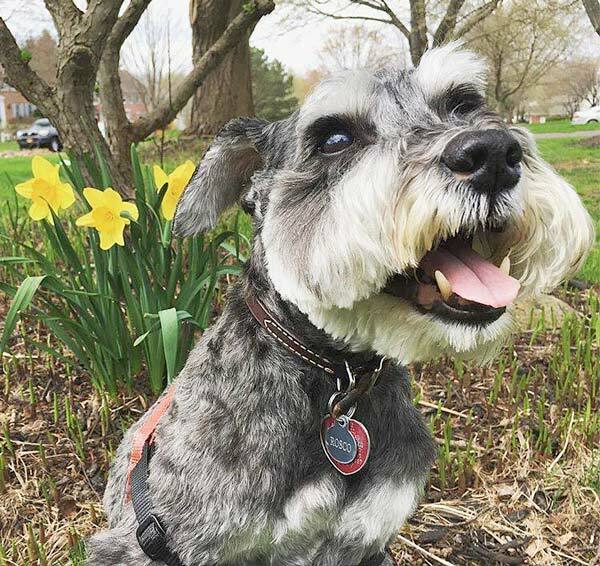 Start your own Facebook fundraiser for the Tripawds Foundation! We hope this will help other Tripawds and families in need. This has been a bright spot for us in a rough week, and we are so appreciative of all you do. Oh our dear, sweet Rosco. Yeah, have a few years flowing reading this. Your hooman has paid tribute to you in such a beautiful life affirming way. Just more proof that you will continue to live a life of meaning that inspires and impacts us all in such a pawsitive way! All tripawds ard are cute, but you really took cuteness to a new level!! 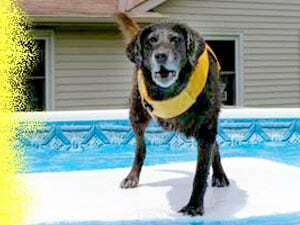 Add being a senior tripawd who rocked three legs for four years….WOW!!! WOW!! WOW!!! I, like some others, were so privileged to travel this journey with you. We know your hoomans are heartbroken that you had ro head to the Bridge. But we also know you are having a blast and are young and vribrant.and cuter than ever!! When you can, be sure and send your hoomans a sign that you are still present in their lives, okay? ?